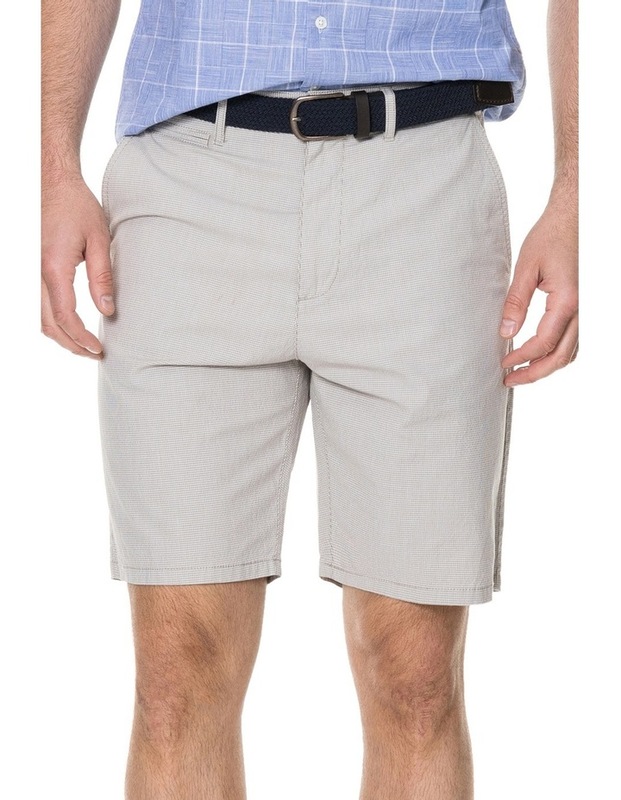 Rodd & Gunn Flaxton Slim Short. Gingham micro check shorts in Italian cotton blend. 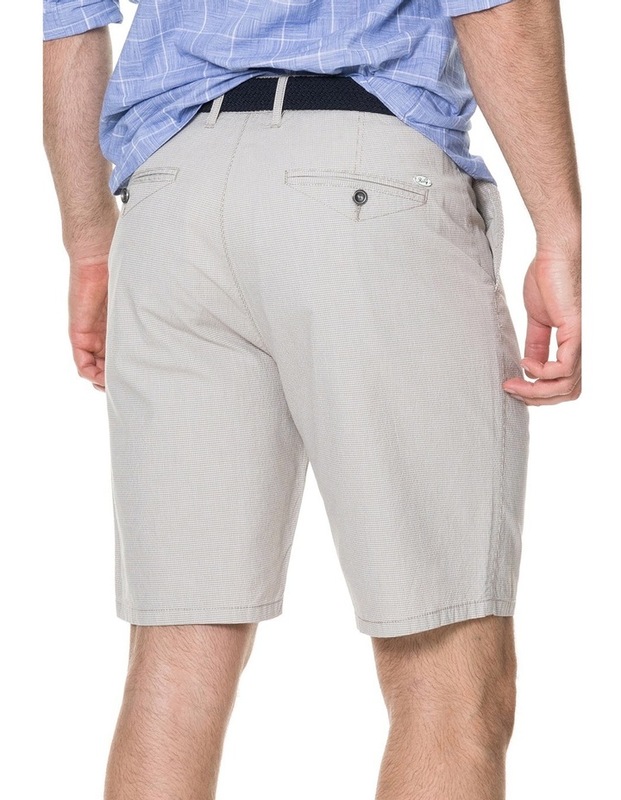 These crisp shorts are tailored from an Italian cotton micro-check with a slight wrinkle texture in the fabric surface. 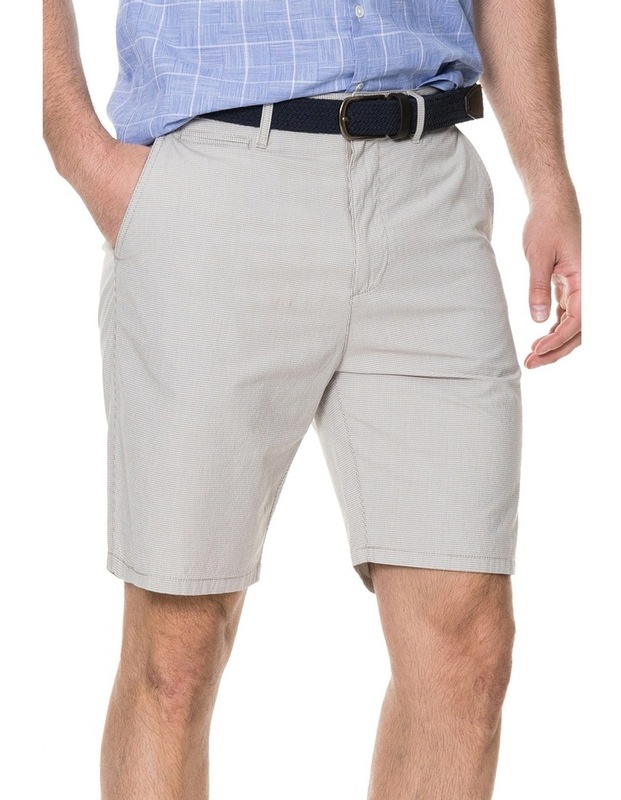 Featuring a small amount of stretch for comfort, these shorts are cut with a slim, straight-leg fit that keeps you looking sharp, even on sweltering days. - Fob pocket at side facing. - Rear jet pockets with button fastening and profile stitch. Fabrication: 98% Cotton, 2% Elastane.